VP Records latest compilation REGGAE GOLD 2012 but also the Birthday Bashment of the one and only SHERIFF LINDO!!!!!!! Heading west to help celebrate will be the mighty FIREHOUSE SOUND out of Sydney, this is the crew that Sheriff first started with many years ago so it's sure to be a massive session. Also making a return this month to help celebrate is original crew SIMMO T blazing the latest dancehall and reggae tunes for your listening and dancing pleasure!!!!! and Kritical and rounding things out is the one and only original geezer DJ SORTED. 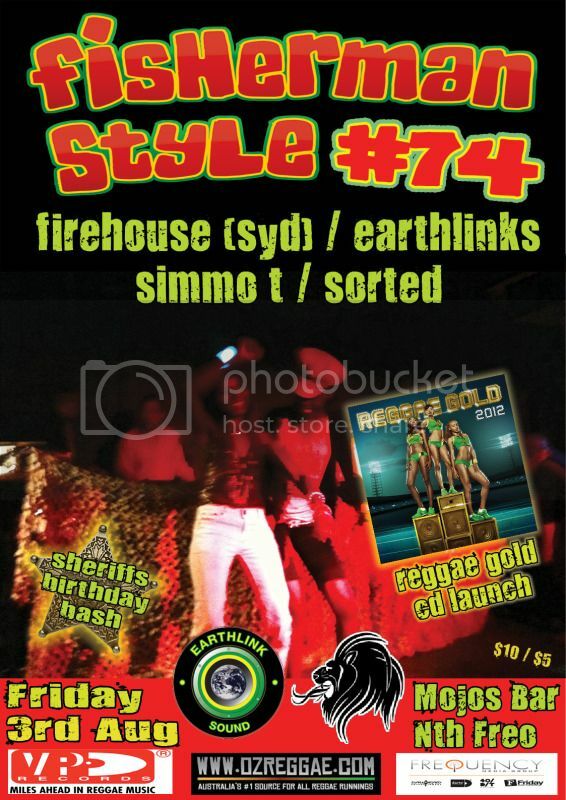 This is sure to be a big night of celebration and nice vibes fi real……………Giveaways on the night of the new REGGAE GOLD 2012 CD, so get down and be one of the first to get hold of this sought after release.